Tom joined PTSA in January 2016, starting off by shadowing his peers. He soon started taking his own sessions and assisting the foundation groups of the academy. Tom currently holds an FA level 1 badge in football coaching and plans to obtain his Level 2 and Youth Modules later this year. Since joining PTSA, Tom has been fortunate enough to work alongside some vastly experienced and qualified coaches who he has taken tremendous amounts from. He has also been fortunate enough to accompany two separate age groups on tours in Portugal and Denmark as both as a lead and assistant coach. Both tours were a tremendous success, competing against and defeating professional sides from different countries. 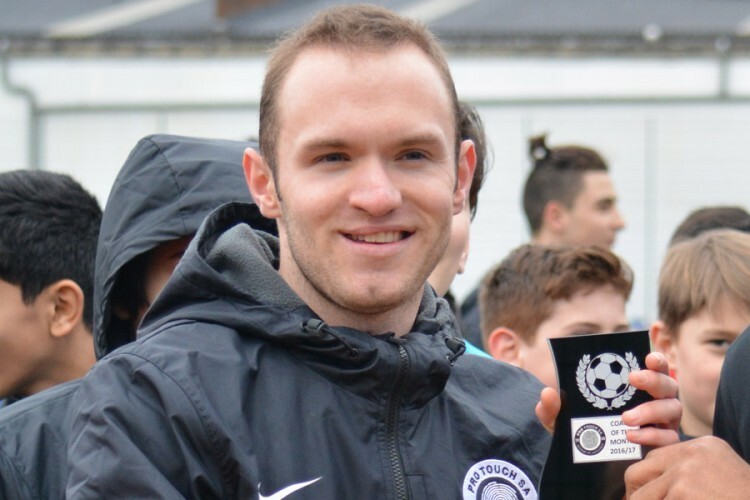 Tom plans to continue learning and gaining as much knowledge experience as possible with PTSA, putting him in the best position to give our young footballers all the support and guidance they need to reach the highest level. Tom is currently enjoying working with our U12s.